fast, easy to use and beautiful to look at. No matter where you are and which device you use, you can always manage and keep under control your business. LOOK HOW BEAUTIFUL IT IS! iPratico® POS PRO is the cash register that makes you look good! LOOK HOW EASY TO USE IT IS! A few minutes and you'll know exactly how to use it. LOOK HOW VERSATILE IT IS! 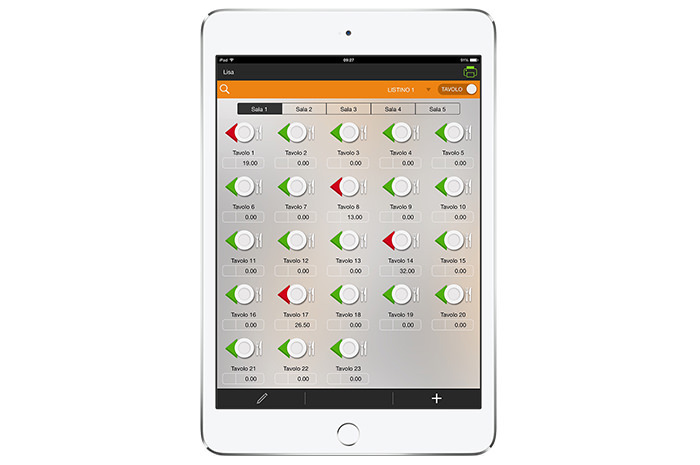 iPratico® was the first POS in the world to be designed for iPad and published on the App Store. 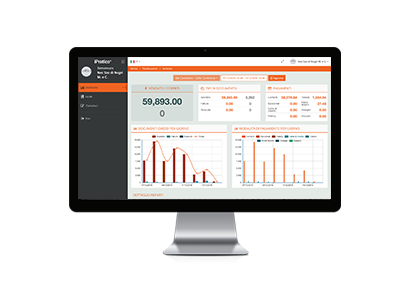 Thanks to iPratico® POS PRO you can manage all of your business: the orders, the sales analysis, the statistics and the loyalty of your customers! you can start from a single POS and become bigger! 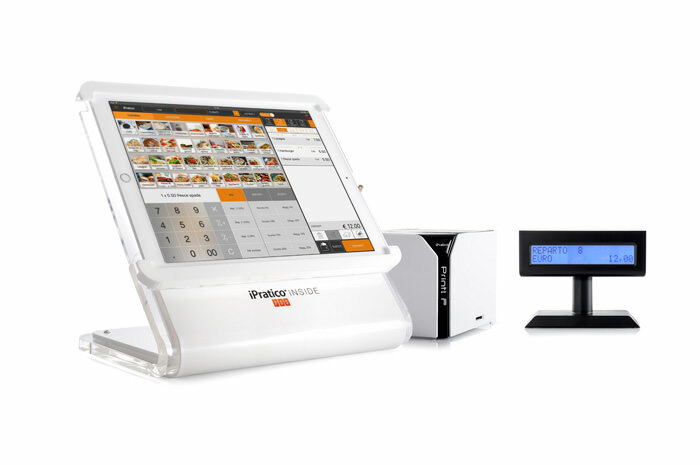 iPratico® POS PRO is more than a POS, not only it's built to suit all your needs, but it does much more! You can use it between the tables of your local to take orders thanks to a wi-fi network connection. Do you have a lot of waiters? Is your business growing? 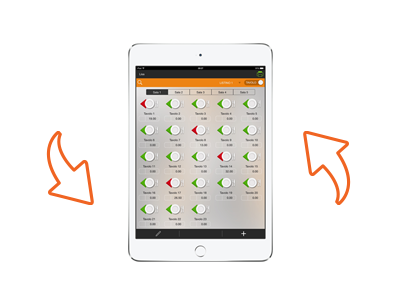 iPratico® POS PRO is able to manage more than one iPad and printer at the same time: order fulfillment will be faster than ever. Do you have many stores? Franchise? 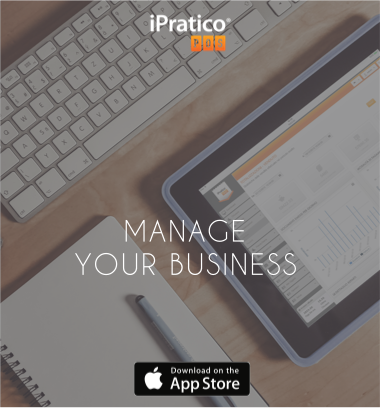 iPratico® POS PRO allows you to centrally manage inventory, staff productivity, check receipts, analyze statistics. 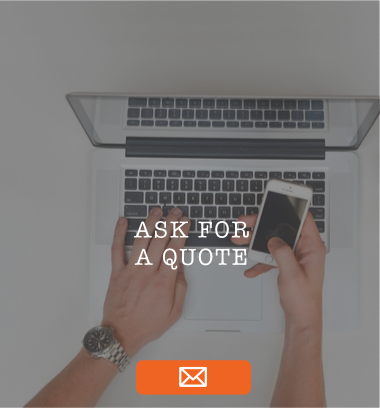 You'll get your business completely under control. If you use it in landscape mode it's a POS! It will be easy to cash in money in every way your customers ask. Voilà! 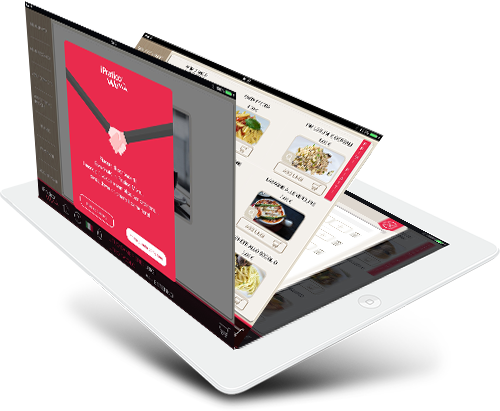 Rotate your iPad and your POS becomes an userfriendly tool to take orders! Do you know something more simple than this?! 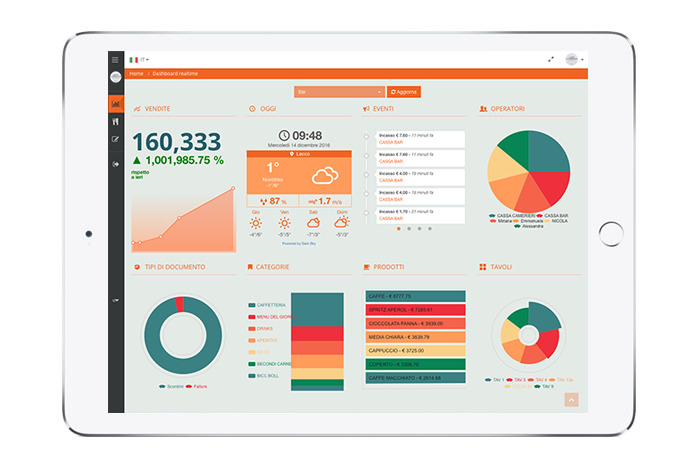 You can monitor your business and organize your work! 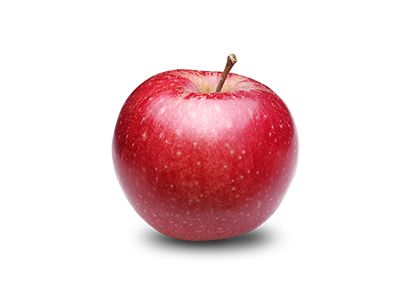 The experience of iPratico® with the reliability, design and usability of Apple devices: your work has never been so easy. You can sleep peacefully, we, in iPratico, will take care of everything! Do you want to tell your business' story to your customers? Do you want to show them the pictures you lpve more, the products or dishes you offer? Do you want to introduce the chef or your staff? But above all ... do you want to offer your customers an unique experience?! Let them be to order their dishes from an iPad! 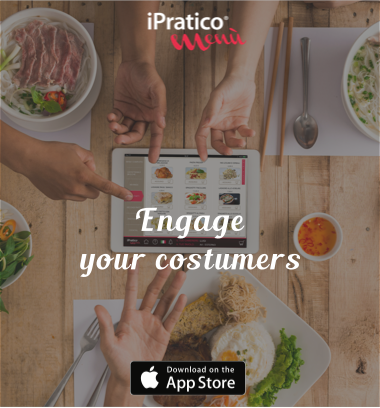 Try iPratico® Menu! And if you like use it with iPratico® POS for cashing in more easily! 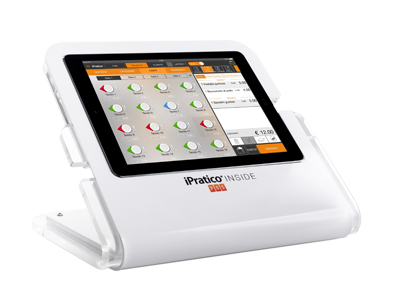 As soon as Apple showed the iPad Pro to the world, we were ready to introduce iPratico POS PRO, already optimized for the iPad PRO. We also thought to realize a support for the new iPad in order to make your job comfortable and make your POS System irresistable. So we are proud to introduce our new support for iPad PRO: thought and made in Italy. 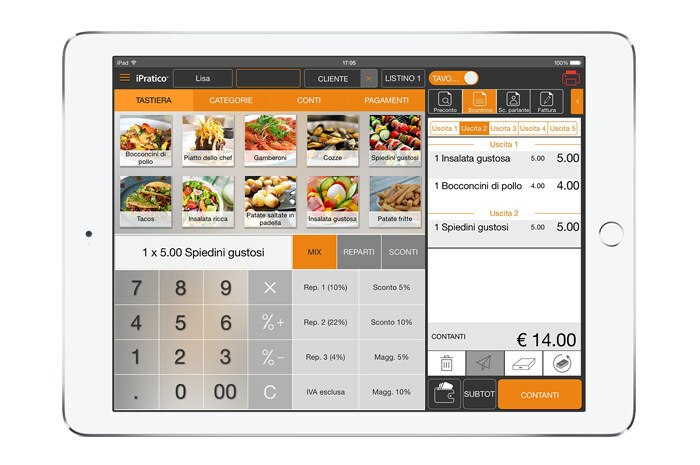 Try iPratico® POS, it's free! ">Youd don't believe it, do you? 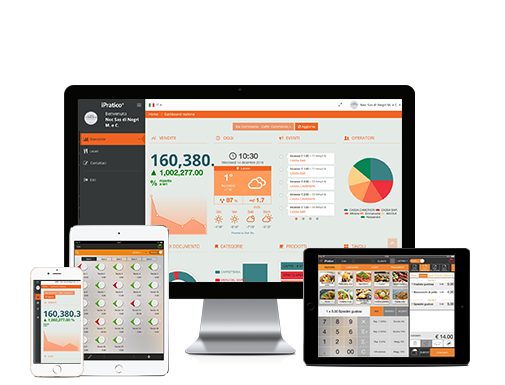 Try iPratico® POS, it's free! Do you want to know what's going on and be updated on new features? Just subscribe to our newsletter! Copyright 2016 - iPratico® S.R.L.